We were taught to plant trees during school. However, the literacy rate in Kerala doesn’t justify the kind of acts we commit to nature and our fellow human beings. On Saturday night, two trees were cut by an 18 member team. The people who witnessed the heinous crime sought help from police and yet received none. 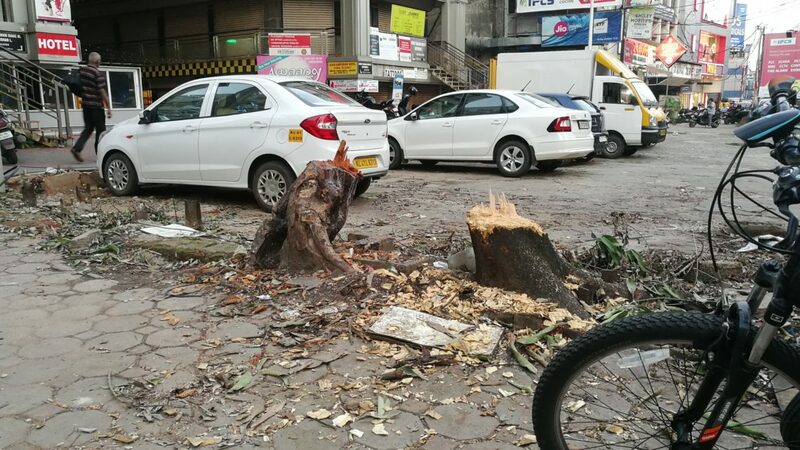 Reports suggest the tree was blocking the visibility of the nearby building and that was their reason. In the cover of the night, the owners got what they wanted and the police stood to witness the barbaric act. The trees were in perfect health and hardly posed any danger to a human being, alas they had to die by in the hands of the very human being to whom they gave oxygen every day. 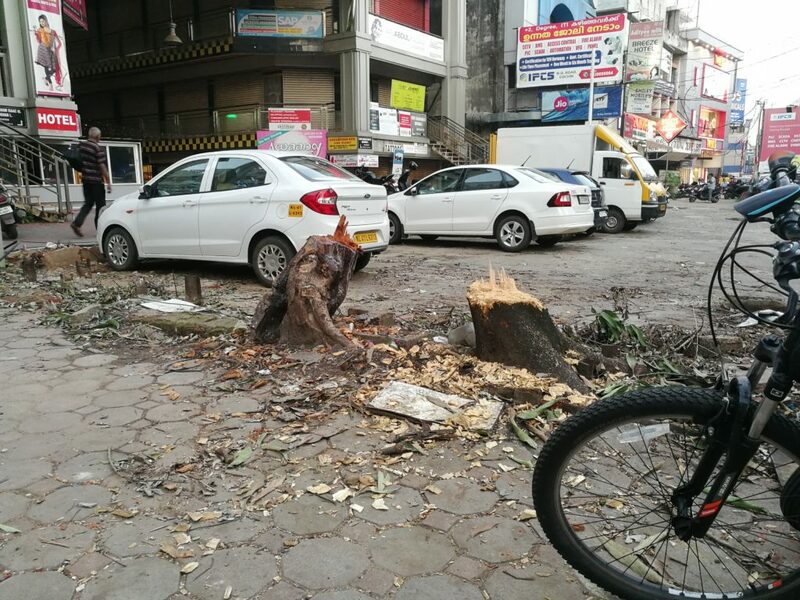 This happened in MG Road, opposite to Centre Square in Kochi on 16th June 2018. People have demanded actions against the atrocity, however, our laws do not have the teeth to punish them.